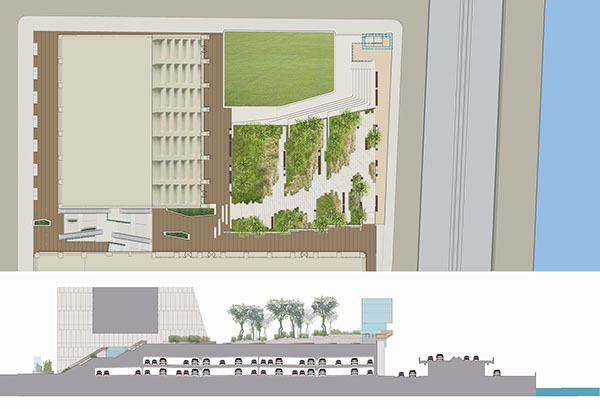 Ken Smith Landscape Architect collaborated with architects Rogers Marvel for the redevelopment of a sterile 1970s-era public plaza located atop a parking structure 30 feet above the street. 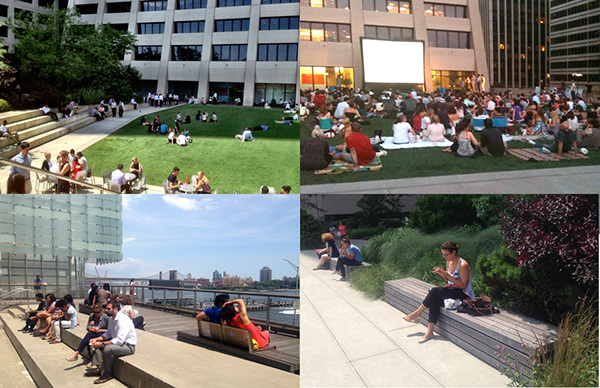 The new design envisioned the space as more of a lush green park than hard plaza. The challenges of the site were many. 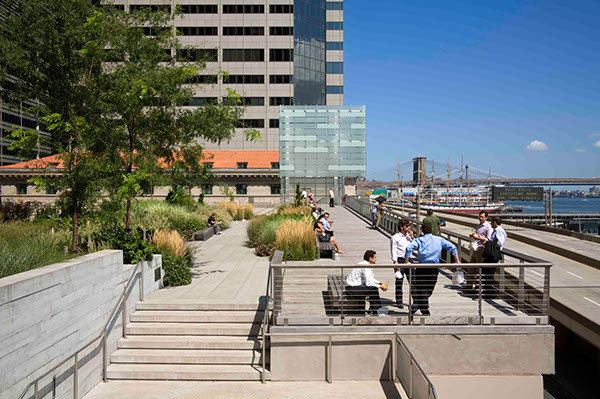 The design improved the stair/escalator connection to Water Street and created new visibility for the space with a prominent light beacon located above South Street. 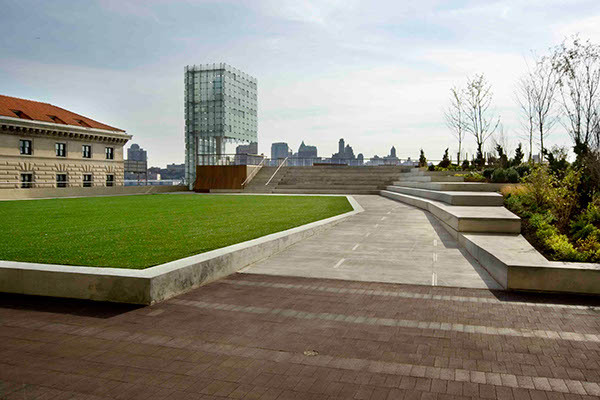 A new sequence of spaces was created to support a variety of public needs and activities including quiet places to enjoy the view with comfortable seating, a large terraced space with open lawn for performances and organized events, spaces to eat lunch, and a series a planted dunes that speak to the site’s proximity to the waterfront and the New York Harbor. 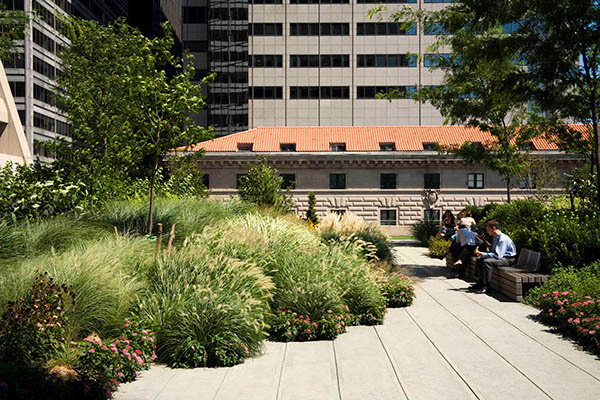 Since the entire site was constructed over structure the landscape was designed to be lightweight enough to meet the engineered load, yet lush enough to be satisfying as a park. The design vocabulary is rooted in an abstraction of the terminal moraine topography that historically typified the geology of the area. The ground plane of the site was sloped up to create a new horizon line with a series of landscape “dunes”. The design manipulates perspective with the sloping ground plane initially obscuring the view of the East River and the Harbor. 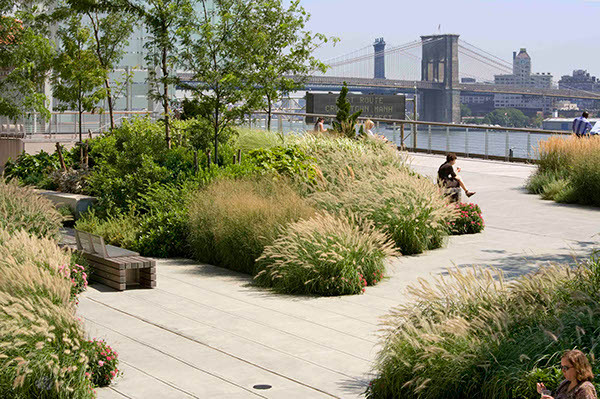 As people move up the slope and through the dunes, the horizon gradually opens up to the East River and the graceful span of the Brooklyn Bridge and the Harbor are dramatically revealed.